The October Solution's "Axis Swim Scar" Out Now! The October Solution’s “Axis Swim Scar” Out Now! 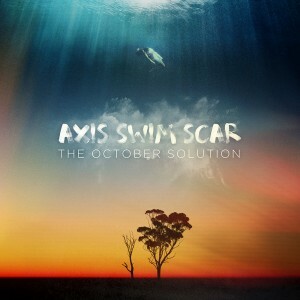 We’re excited to finally be able to announce the release of The October Solution‘s stunning debut album Axis Swim Scar. If you’re late to the party, dream-pop architects The October Solution are the inimitable combo of Drew Sullivan (Slow Dancing Society, City of Satellites) and Jarrod Manuel (City of Satellites). While steeped in ’80s nostalgia, their music moves beyond familiar tropes to stand as defiantly futuristic and progressive, no better exemplified than on the 1st single ‘1984’, which draws upon the sweeping grandeur of Disintegration-era Cure. Axis Swim Scar resonates with soaring guitars,ethereal vocals, and deftly woven pop melodies, melding the incandescent ambient sounds of Slow Dancing Society within the propulsive song-craft of City of Satellites. Head here to stream and buy a copy of the album and also look out for it at the usual digital outlets such as iTunes, Spotify, Amazon and the rest. Don’t forget to download a free copy of 1st single, ‘1984’ here as well.